Terrain Obscuration Program Software Positioning and navigating with GPS usually work optimally in open sky scenarios, such as in the air and in flat landscapes. The terrain surrounding the simulated vehicle can sometimes block satellite signals, however, leading to reception problems. This is especially true in urban areas or mountainous locations, where tall buildings, vegetation, and mountains block the Line of Sight Signals (LOS) of satellites. Often, the signal interacts with multipath (MP) and the local environment, reducing the capability of the unit to do reactive command and control. This also leads to an erroneous input to the receiver front end, and less accurate position fixes. It doesn’t matter what obscures the satellite – the outcome is a loss of reliable positioning, timing, and navigation (PNT) data. Fortunately, we offer the CAST-170, a Terrain Obscuration Program (TOP) software that enables testers to check the satellite visibility in real time. It also allows users to determine the effects of the area terrain on a ground-vehicle-based GNSS receiver when combined with one of our CAST simulators. The TOP computer and the simulator communicate using an Ethernet link. With the CAST-170, testers get a list of satellites normally visible to the TOP; the software checks the line of sight for each of the satellites in the constellation, which then determines visibility. After the check, the revolutionary terrain obscuration software provides a status report for each of the satellites, which indicate the terrain obscuration factor. The CAST-170 does this and more with only modest computer resources. 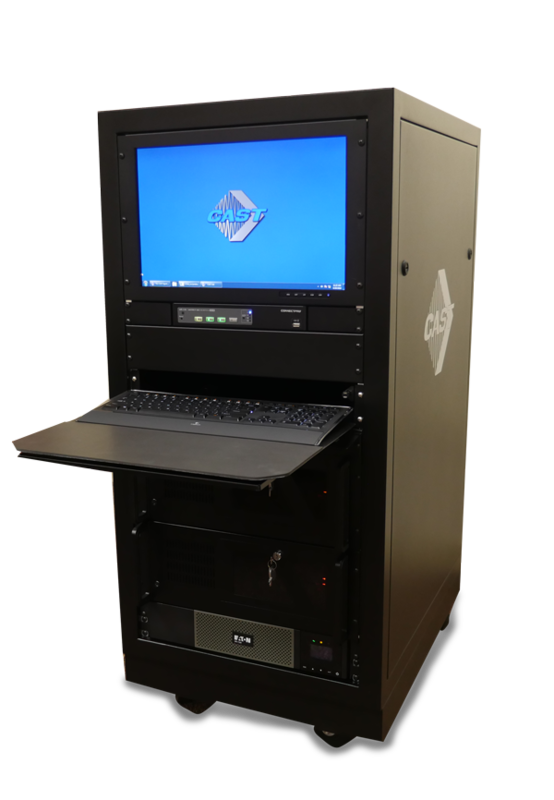 With the capabilities of CAST-170, testers can perform what-if analyses for a range of terrain environments, making tests more accurate and comprehensive. The terrain obscuration software comes with an Enhanced Visualization option. 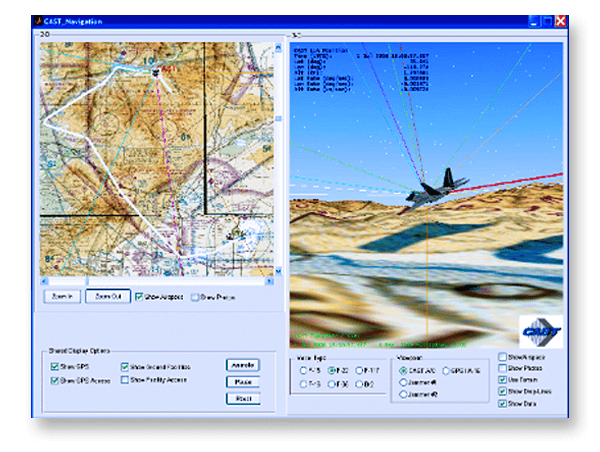 This provides operators with a three-dimensional view of the terrain surrounding the aircraft or vehicle. It presents an animated 3D view, with survey points from the GPS satellites, the vehicle, or other simulated parts of the test. The line of sight access lines also shows the effect of the terrain on the signal coverage of the GPS. The CAST-170 Terrain Obscuration Program is simply an important tool in improving the accuracy, reliability, and performance of GNSS receivers. Call us today to know more about this product.